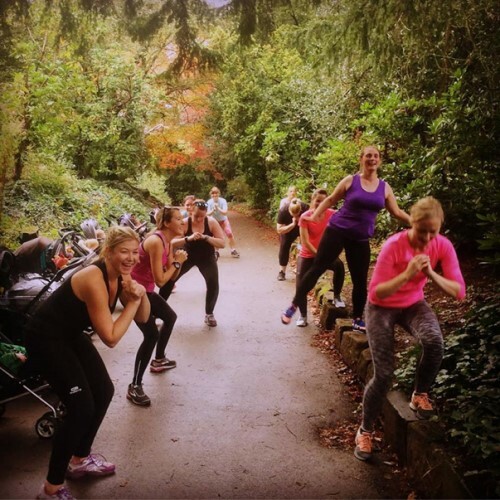 The ultimate fitness class for mums in Derby and Staffs! Want to get back in shape after having a baby? Buggybabes is the answer. Our classes will give you a great workout as well as being lots of fun! Suitable for all levels of fitness, Buggybabes classes are the perfect way to help you adjust to the physical demands of looking after a new baby (or toddler/pre-schooler), regain your fitness and generally just feel great about yourself! We combine power walking (and some running only for those that wish) to burn fat with resistance and body weight exercises for the upper and lower body. The class can be as easy or hard as you make it and there's always a big mix of fitness levels in the class so don't worry if you haven't done anything for a few years - you will be fine! We also spend some time towards the end of the class working on pelvic floor strength - more important than ever since having your baby. The class has a functional aspect too, designed to help you adapt to the demands of caring for your baby or toddler. We focus on exercising with correct technique to keep you strong and subtle for all the lifting you now have to do!